Pitch to the Panel is a dragons’ den style event where local charitable organisations can bid for a share of £100,000 towards a capital project or groundbreaking new service. This is a unique opportunity for charities to put their project forward in person and bid for a larger sum of money than is available through Greenham Trust’s reactive grant scheme. The event, at Newbury Corn Exchange, is a great opportunity for the local community to get together, find out more about the work of some local charities and help make a difference to the lives of others. This year we welcome a new compere – Adam Kotz, a new panel and the golden ticket – an opportunity for a member of the audience to award £5000 to a project of their choice. To see details of this year’s finalists click here. New for 2019 is the golden ticket. 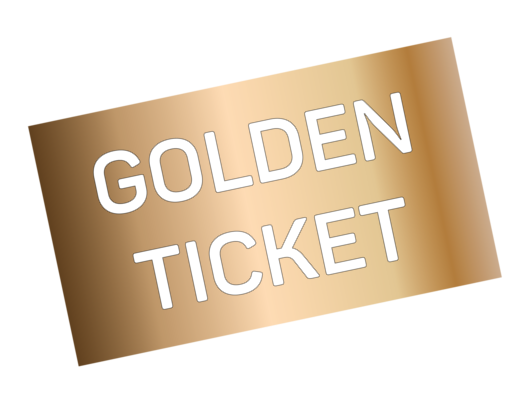 Every audience member will be entered into a prize draw to win the golden ticket. The lucky winner, who will be drawn at the end of the evening, will be invited to nominate a project on The Good Exchange, within Greenham Trust’s area of operation, to receive a grant of £5000 from Greenham Trust. The winner must be present to claim the award. You can vote on-line for your favourite project between 4 April and 6 May 2019. For each vote registered Greenham Trust will make a £1 donation to the project subject to an overall maximum of £5000. click here to learn more about the projects and cast your vote. Why not follow Greenham Trust on Facebook or Twitter to find out who gets shortlisted and for updates on all of the community events.